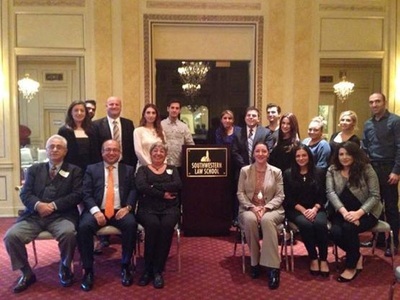 April 24, 2015 - 9:00 a.m.
April 23, 2015 - 9:00 p.m.
April 23, 2015 6:30 p.m.
March 16, 2015 / New York City, NY - International jurist, human rights lawyer, and academic Geoffrey Robertson QC discusses the facts of the Armenian Genocide, condemns President Obama's reticence to properly acknowledge that crime and urges Turkey to end its international campaign of denial in this powerful interview with Ethan Bronner on the Charlie Rose Show (first aired on March 16, 2015). 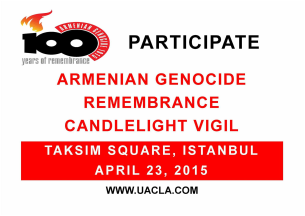 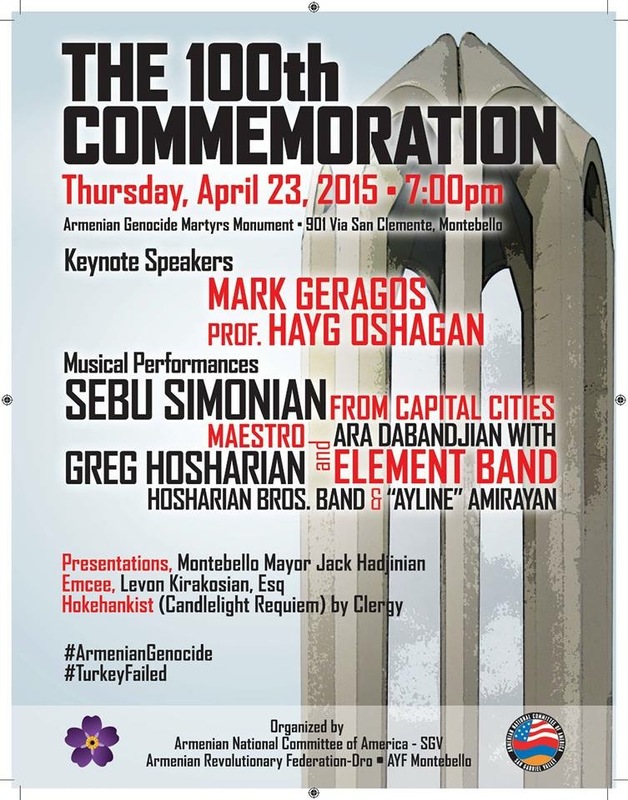 His latest book is An Inconvenient Genocide: Who Remembers the Armenians? 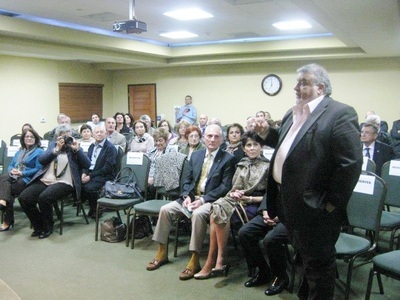 In recent years, he has been particularly prominent in the defense of Julian Assange and WikiLeaks. He has also represented author Salman Rushdie, and prosecuted General Augusto Pinochet. In 2008, he was appointed by United Nations (UN) Secretary General Ban Ki-moon as a “distinguished jurist” member of the UN’s Justice Council, which nominates and supervises UN judges. 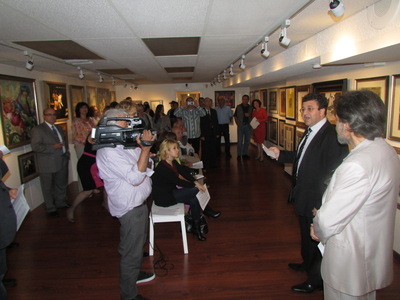 His memoir, The Justice Game, has sold over 150,000 copies. 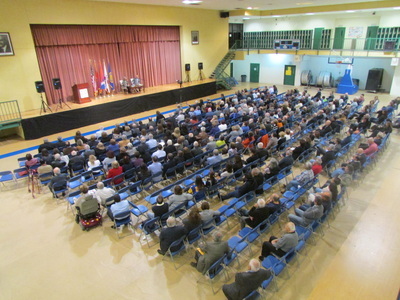 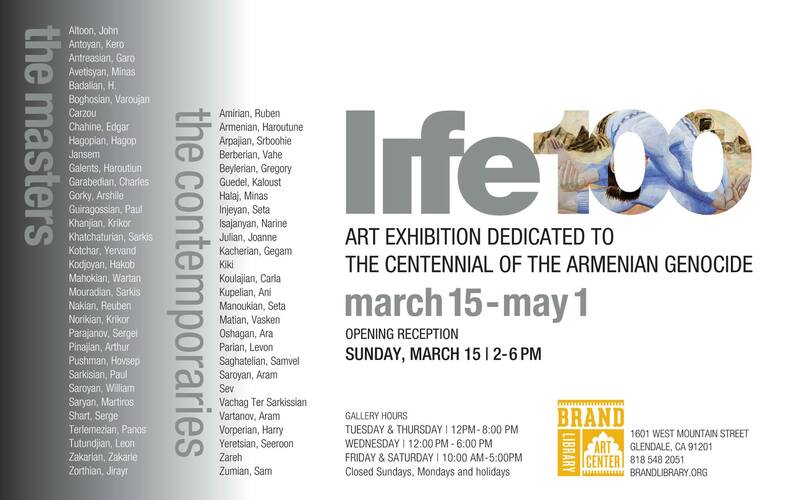 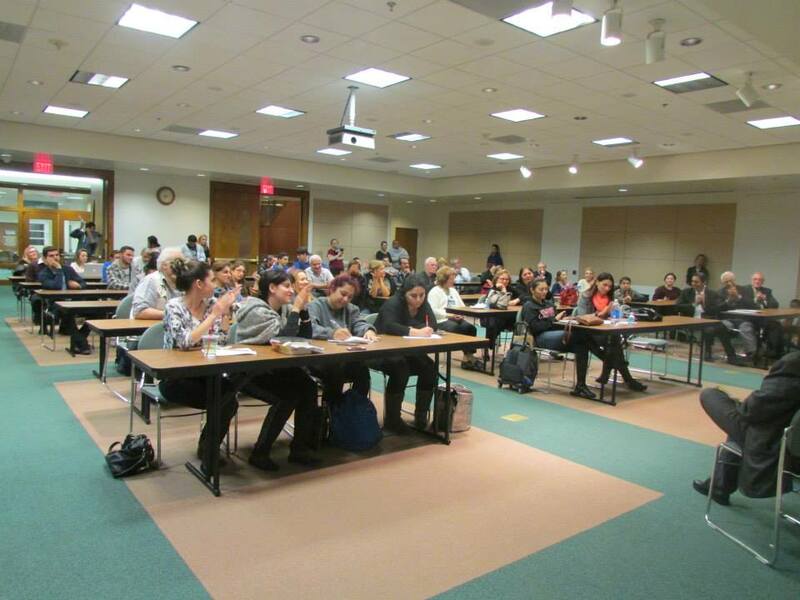 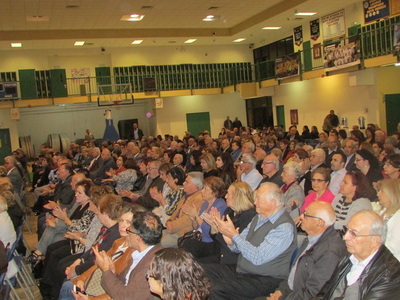 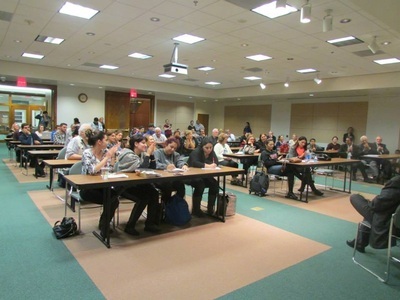 From March 13th to 15th, Mr. Robertson was in New York City headlining the "Responsibility 2015: Armenian Genocide Centennial Conference, a three day spotlight on the state of Armenian Genocide scholarship, genocide education, building solidarity, individual and group reparations, genocide denial, transitional justice, gender and mass violence, Islamized Armenians, and the Armenian Genocide in policy circles. 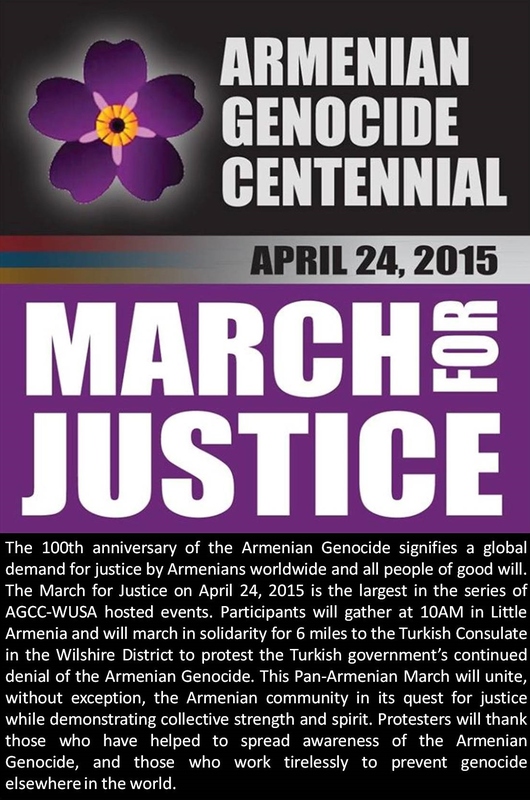 Representatives Robert Dold (R-IL), Adam Schiff (D-CA), David Valadao (R-CA), and Frank Pallone (D-NJ), along with 40 other Members of the House of Representatives on Wednesday introduced the Armenian Genocide Truth and Justice Resolution. 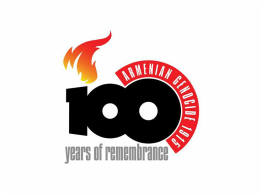 This bipartisan resolution calls upon the President to work toward equitable, constructive, and durable Armenian-Turkish relations based upon the Republic of Turkey’s full acknowledgement of the facts and ongoing consequences of the Armenian Genocide. 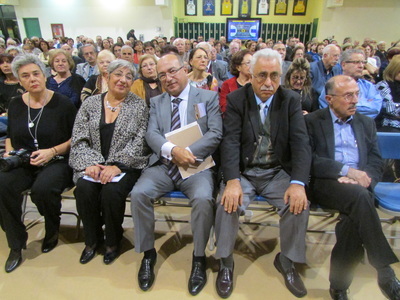 The resolution will also establish a fair, just, and comprehensive international record of this crime against humanity. 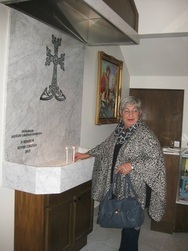 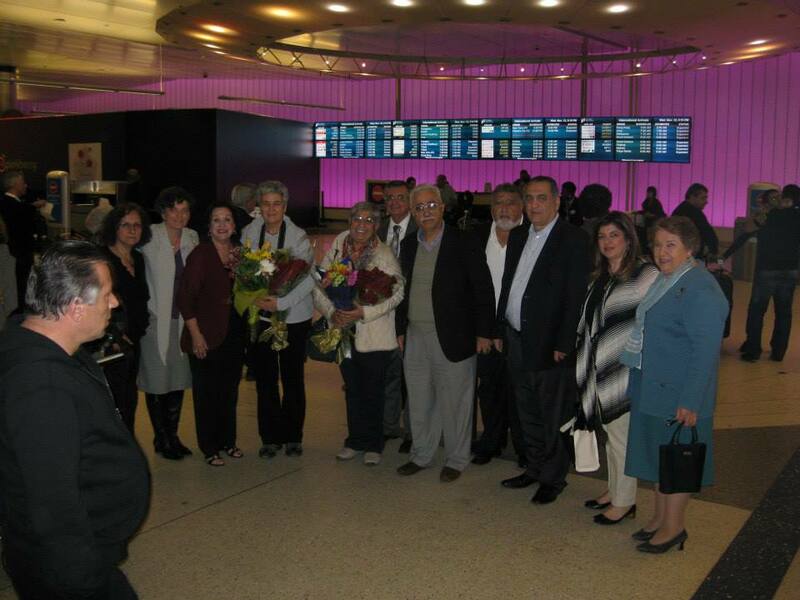 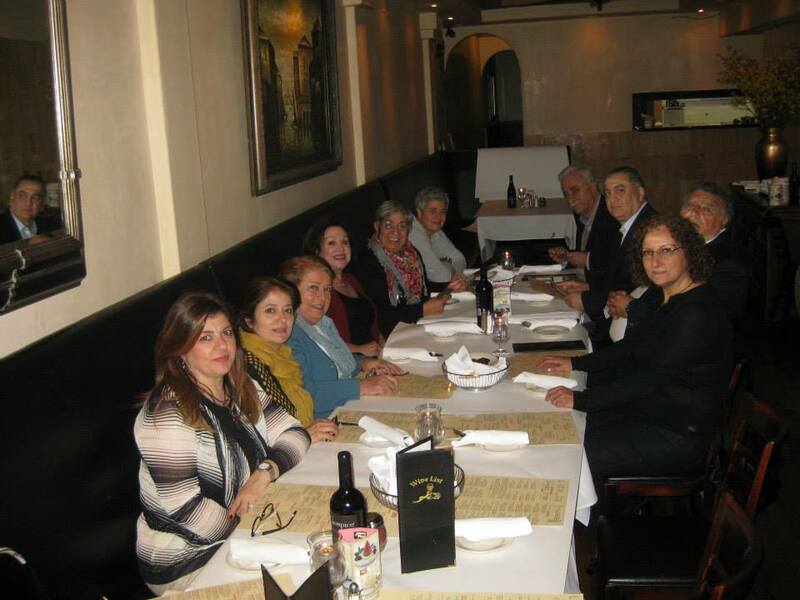 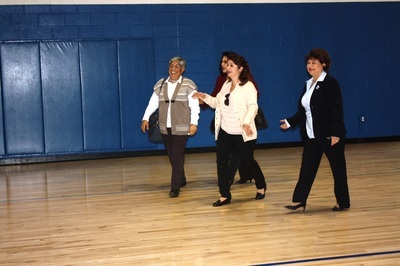 On Friday, November 21, the Las Vegas Armenian community welcomed Fethiye Cetin, the attorney of Hrant Dink, to St. Garabed Armenian Apostolic Church & Cultural Center.Upon her arrival Mrs. Cetin was welcomed by Parish Pastor Fr. 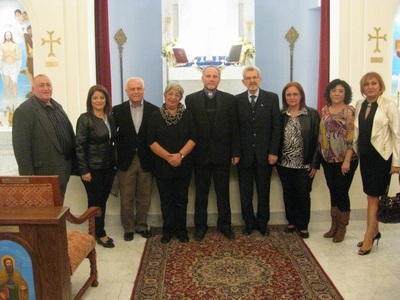 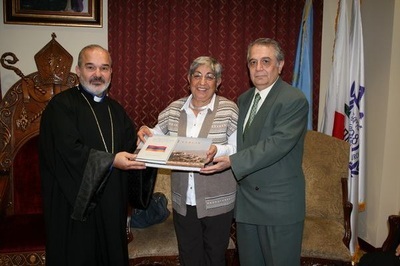 Arsen Kassabian and Parish Council representatives. 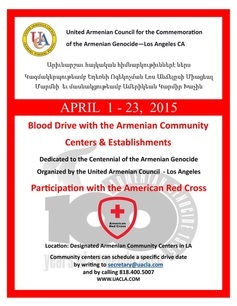 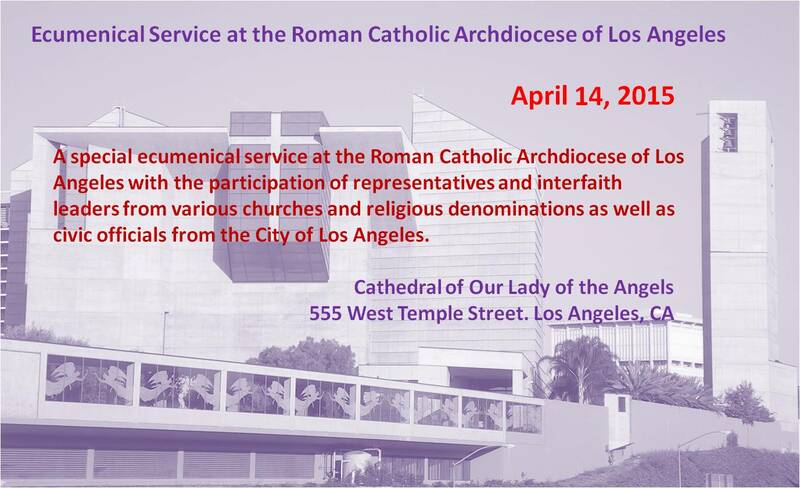 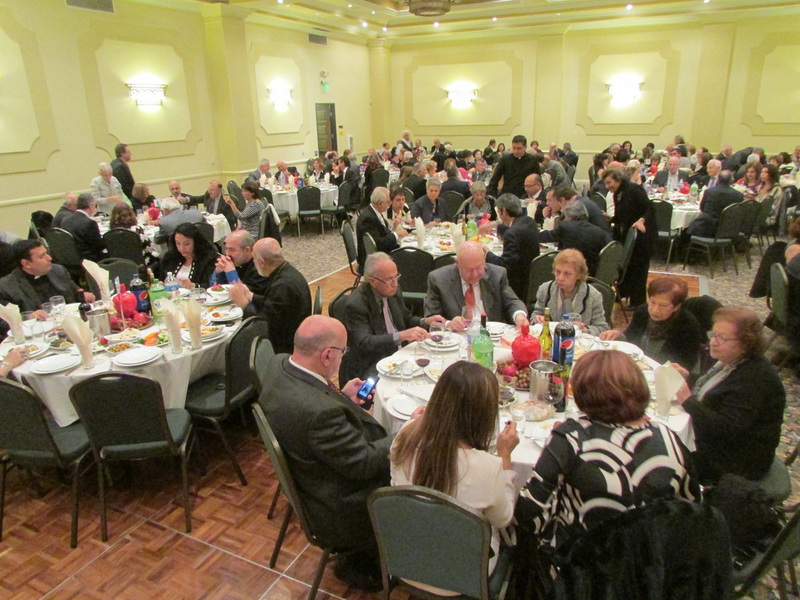 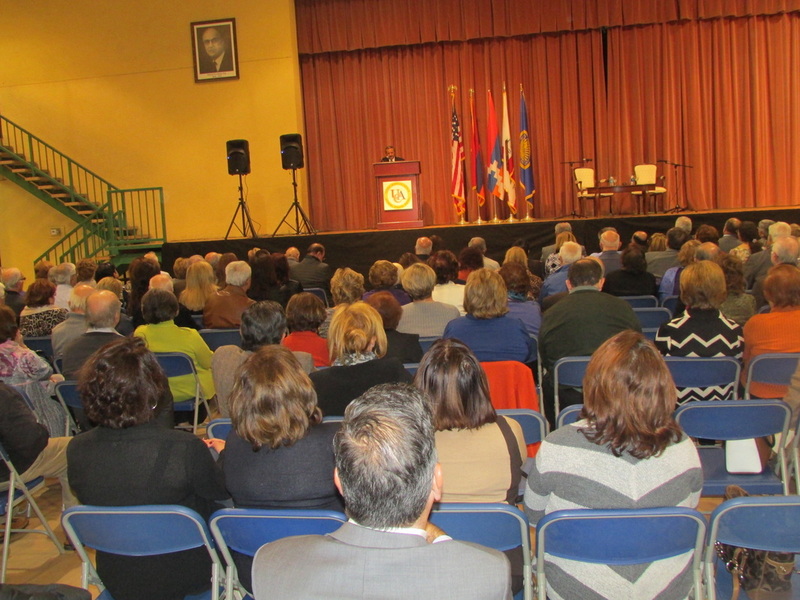 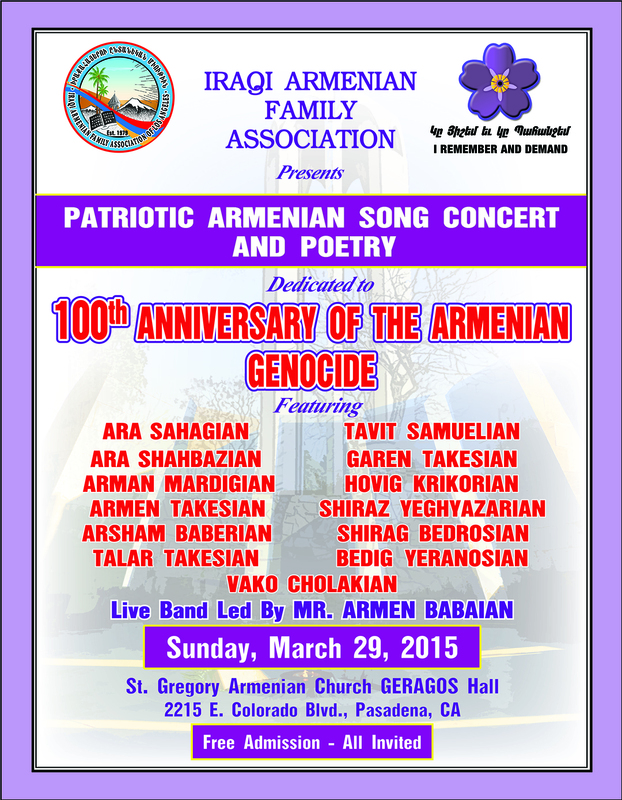 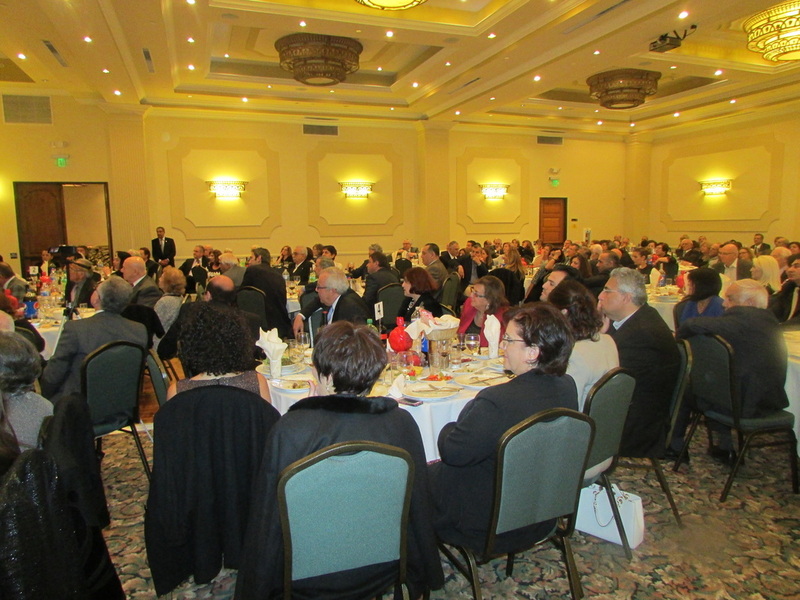 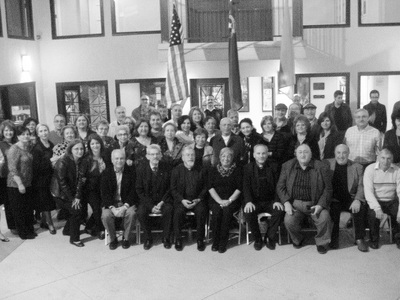 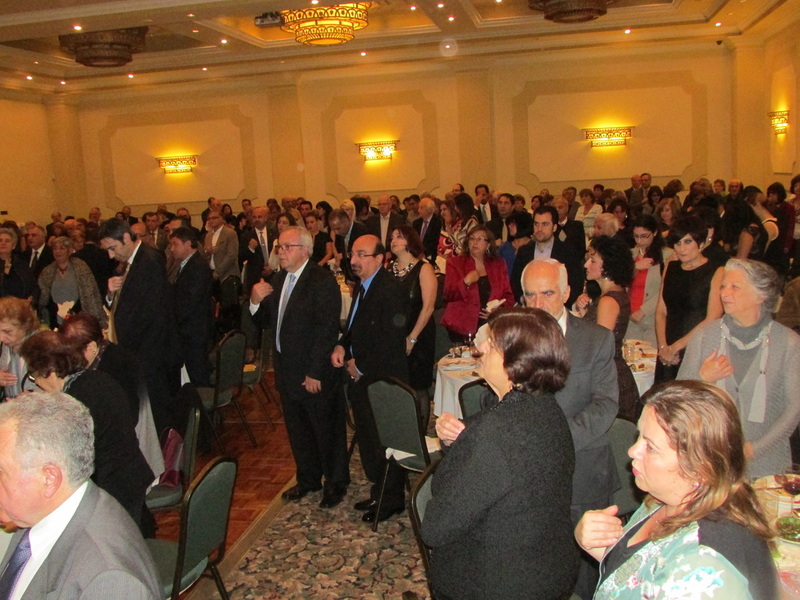 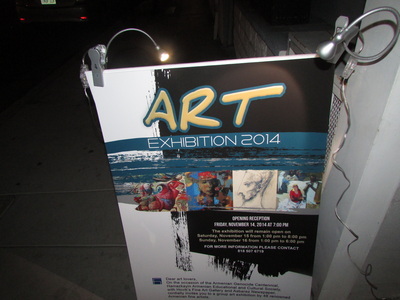 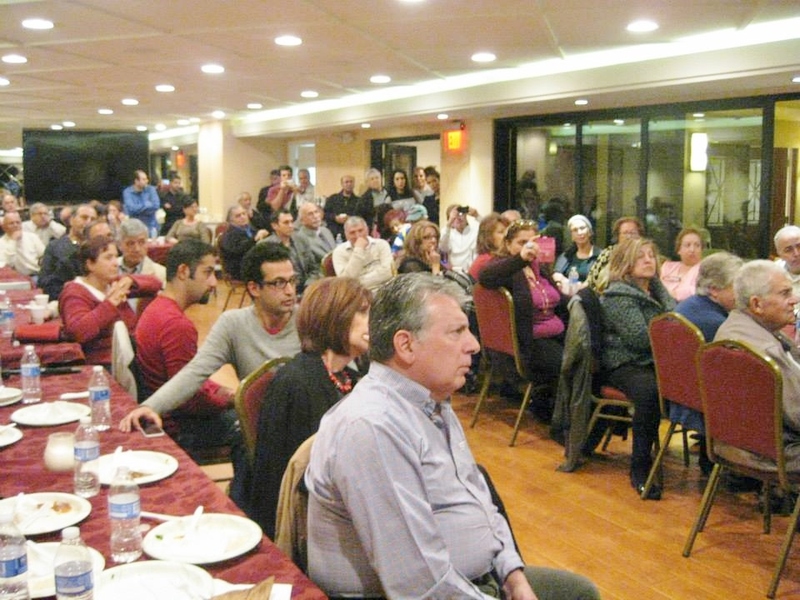 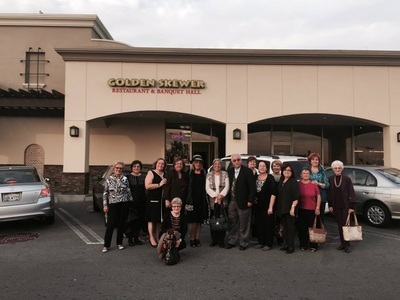 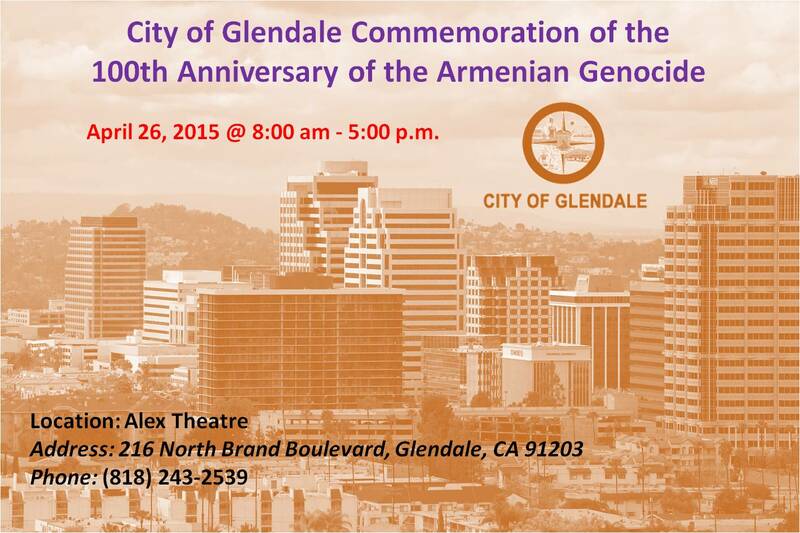 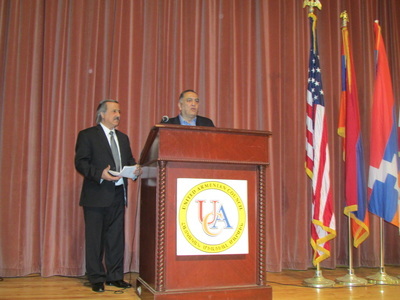 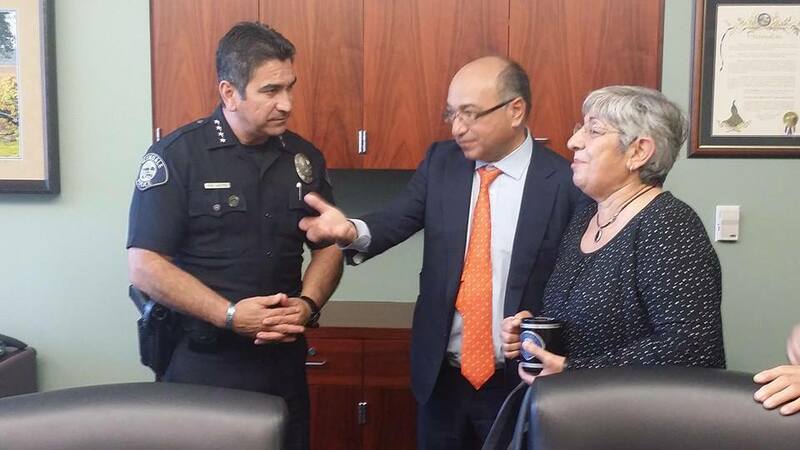 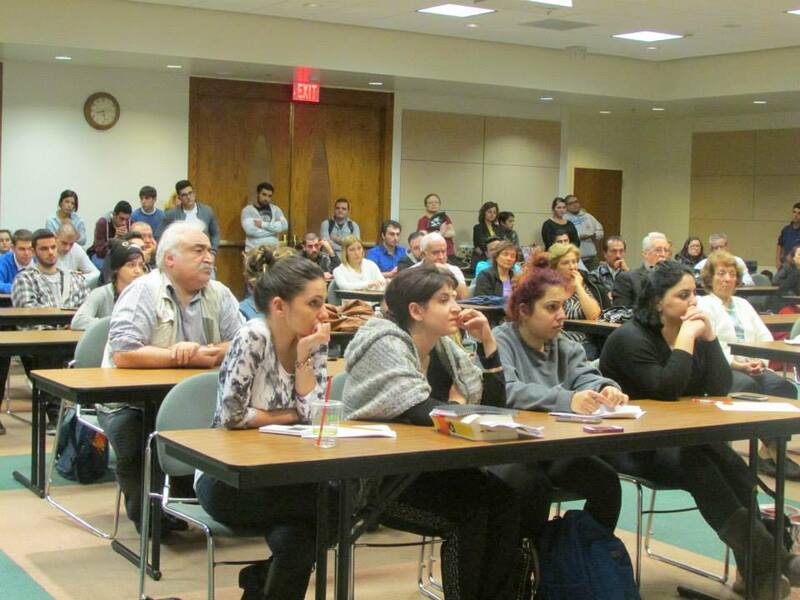 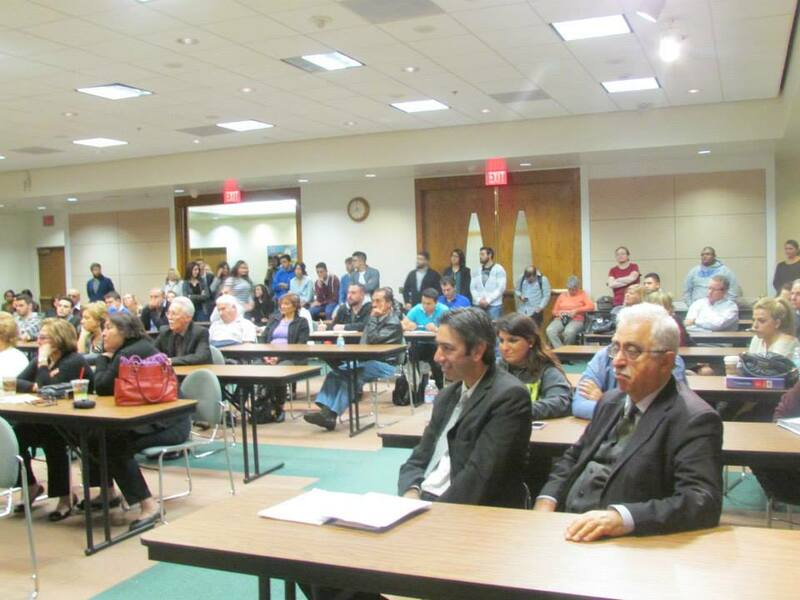 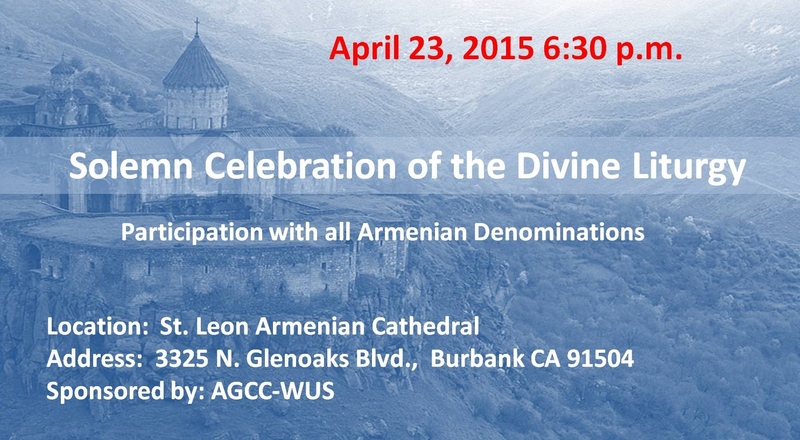 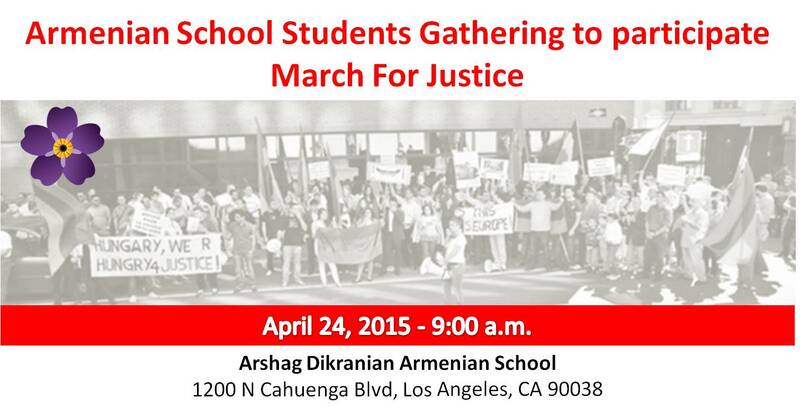 A brief background was provided by Adroushan Armenian about St. Garabed Church and the Las Vegas Armenian community. 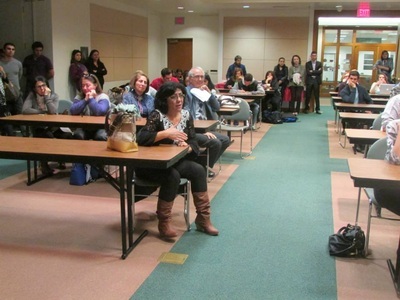 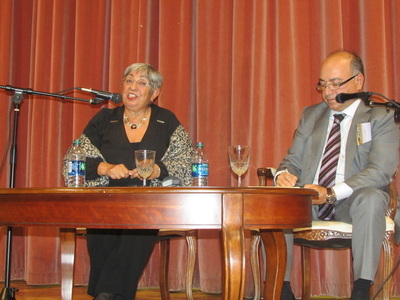 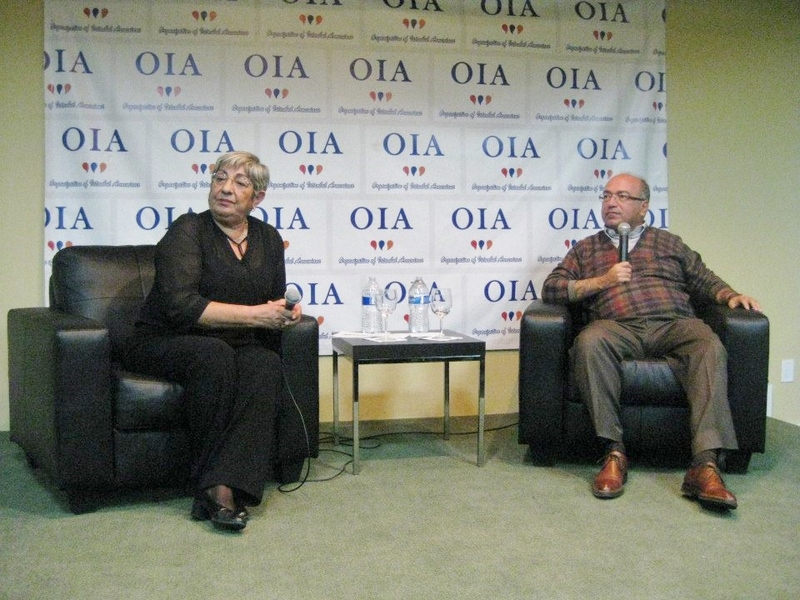 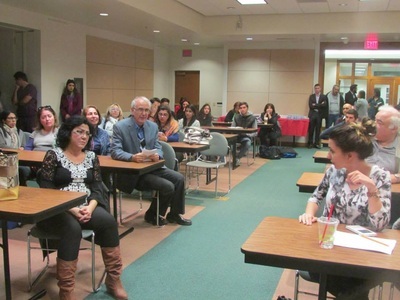 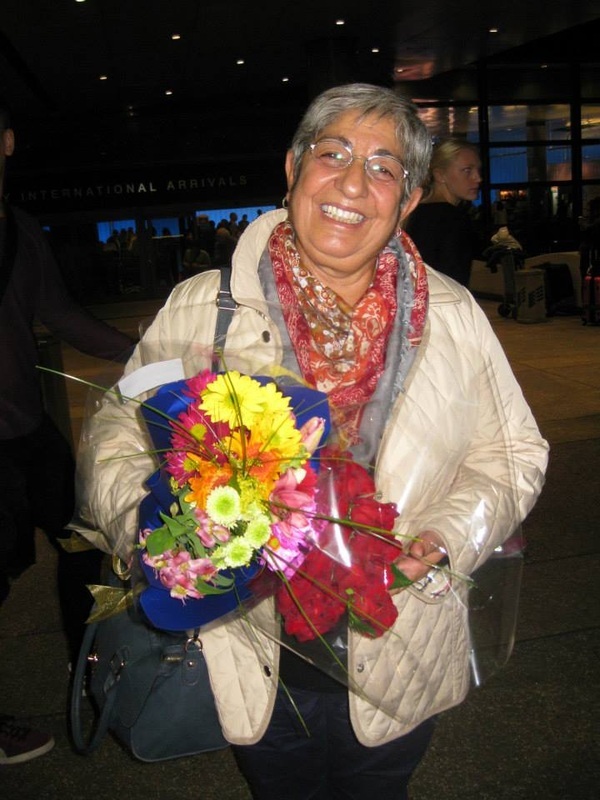 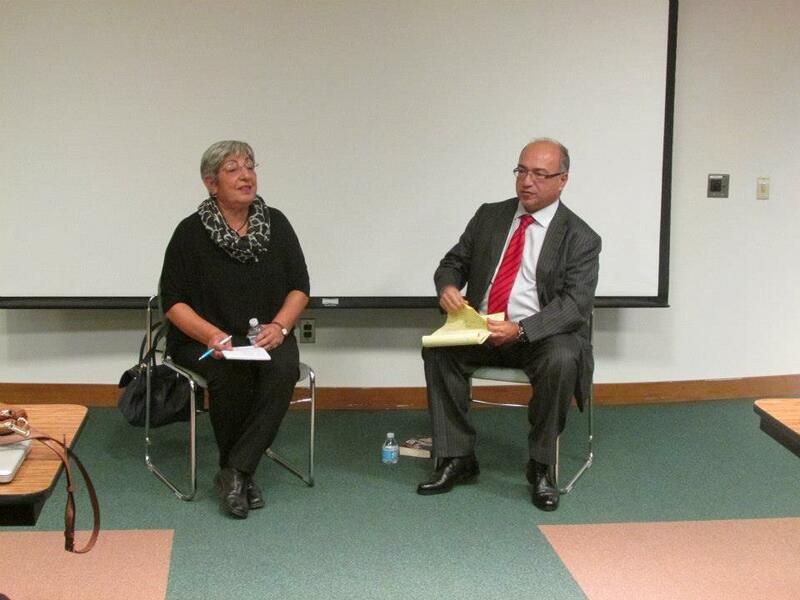 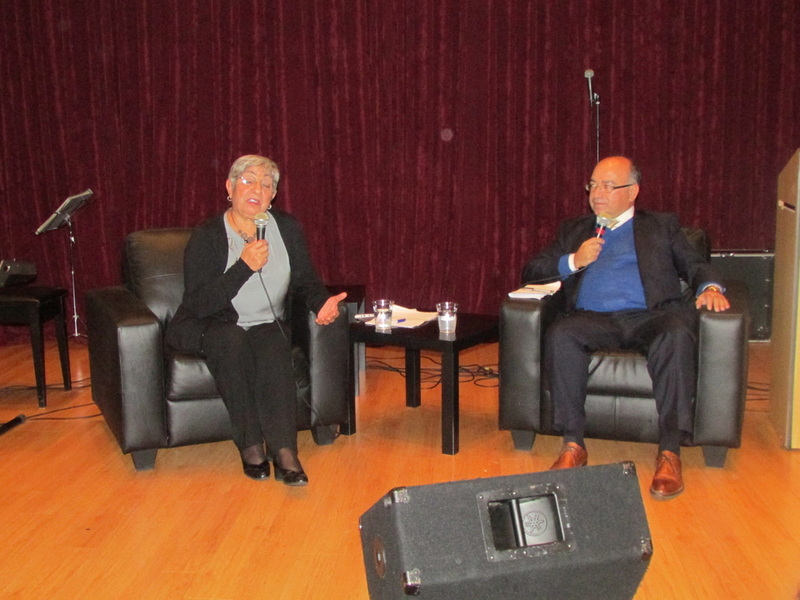 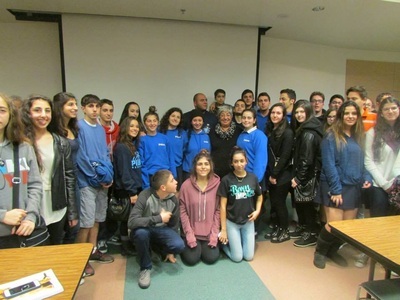 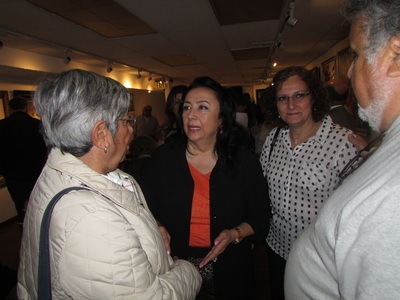 An evening with lawyer, writer and human rights activist, Fethiye Cetin, who represented the family of murdered Turkish-Armenian newspaper editor Hrant Dink at CSUN Oviatt Library, Jack & Florence Ferman Room. 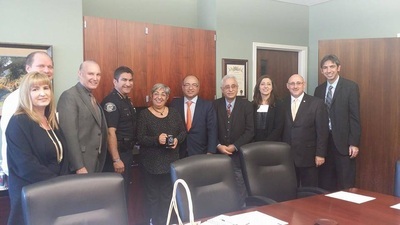 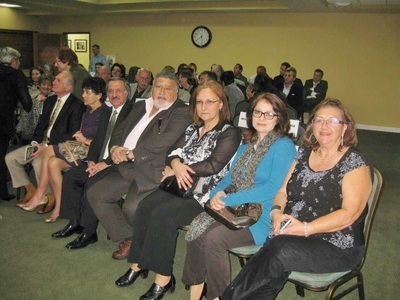 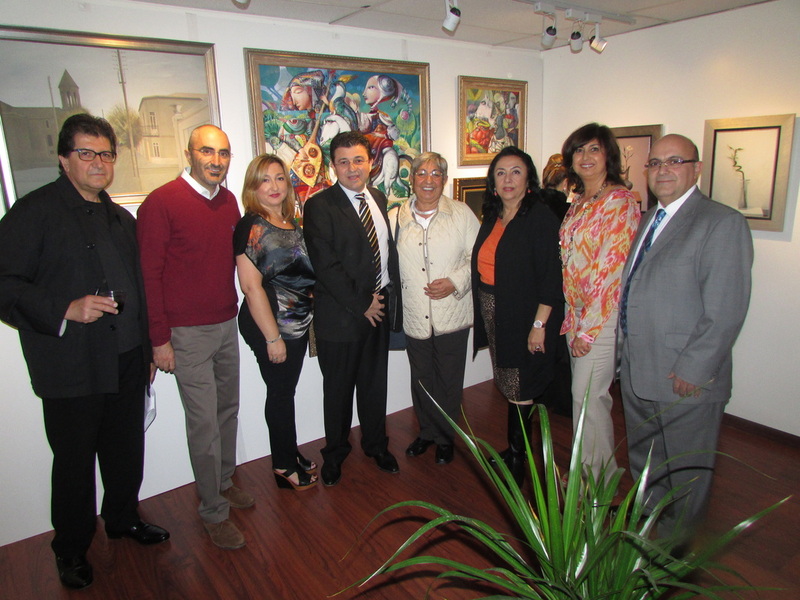 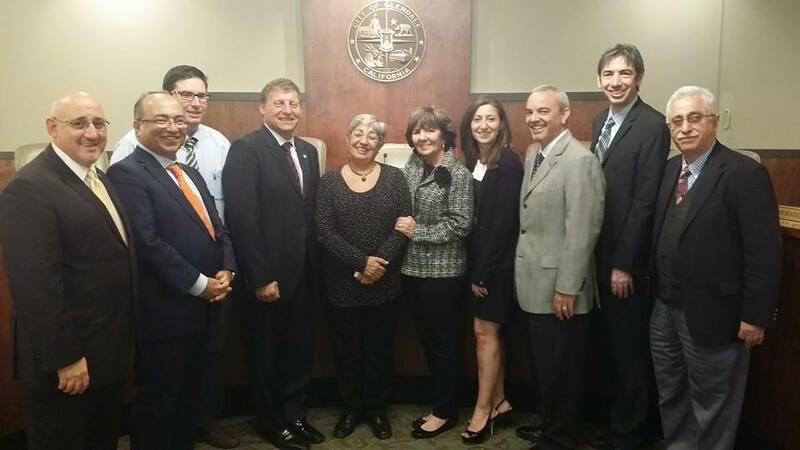 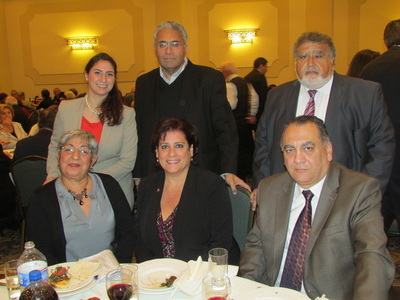 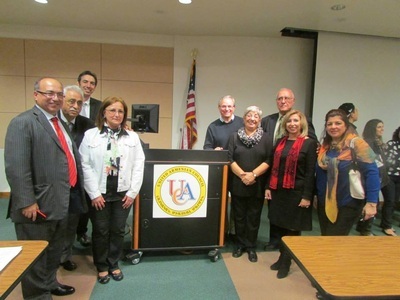 UACLA special guest Fethiye Cetin, with ARMENIAN BAR ASSOCIATION Executives, Edvin Erdi Minassian, Garo Ghazarian, and Saro Kerkonian, visited, 1-Honorees Judges Fred Rothenberg and Patrick Hegarty, 2-GLENDALE CITY COUNCIL Members Ara Najarian and Paula Devine, City Clerk Ardashes Kassakhian, City Attorney Mike Garcia, and Senior Assistant City Attorney Lucy Varpetian, 3-Glendale Police Department CHIEF ROBERT CASTRO and the Command Staff, followed by a visit to the City's Jail Facilities, 4-Southwestern Law School hosted by Vice Dean Gharakhanian . 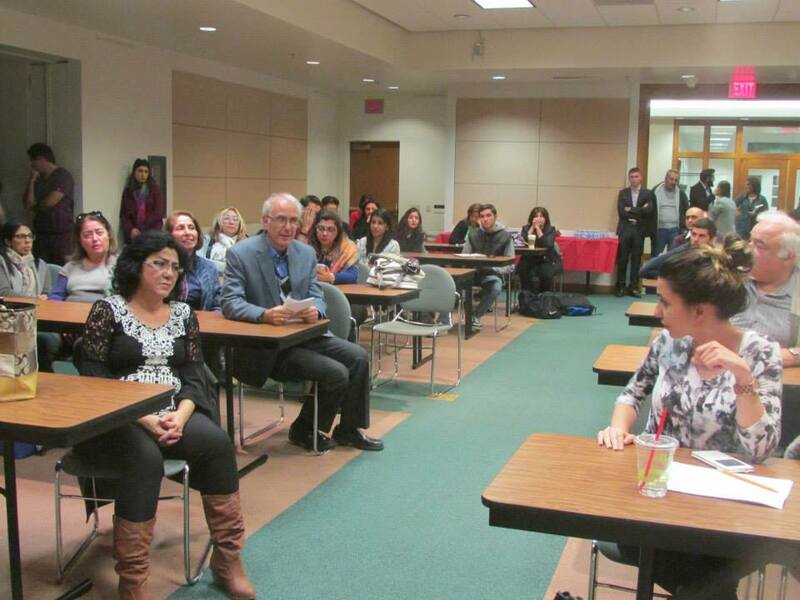 Great interaction and conversation with law students. 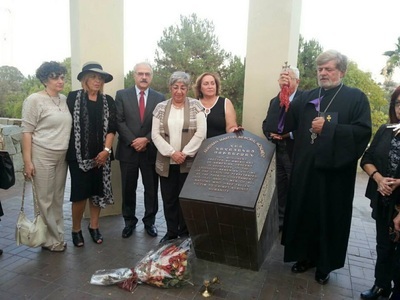 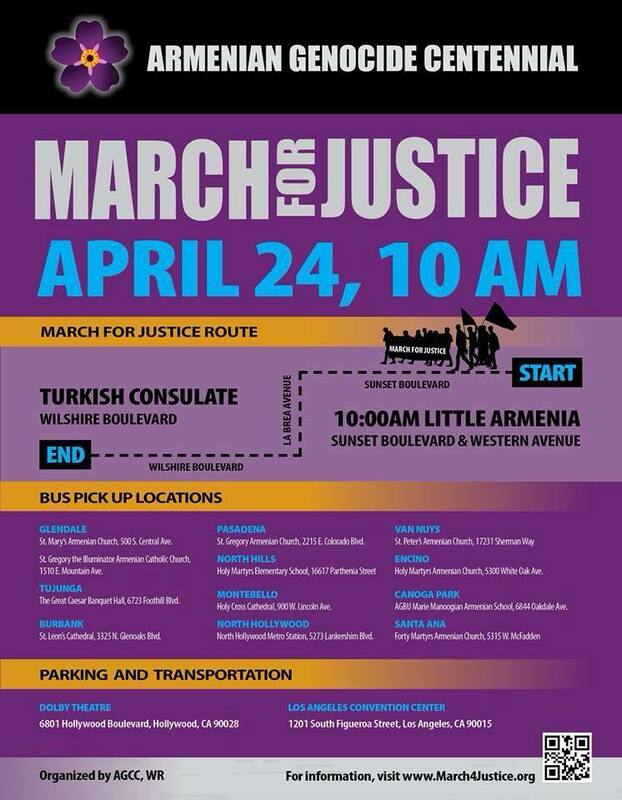 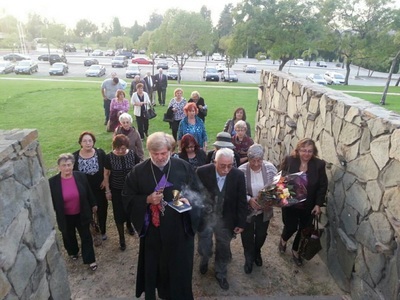 Accompanied by UACLA Members Arus Kazarian, Carmen Libaridian, Dr. Ohannes Kulak Avedikyan, Very Reverend Father Muron Aznikian & ARS Montebello "Nayiri" Chapters Executive members, Fethiye Cetin Visits Armenian Genocide Monument in Montebello. 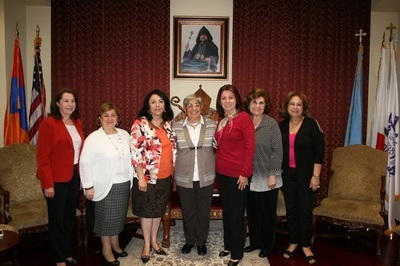 Accompanied by UACLA members Ohhanes Kulak Avedikyan, Carmen Libaridian & Arus Kazarian, Fethiye Cetin visited Western Diocese of the Armenian Church of North America and met with Archbishop Hovnan Derderian. 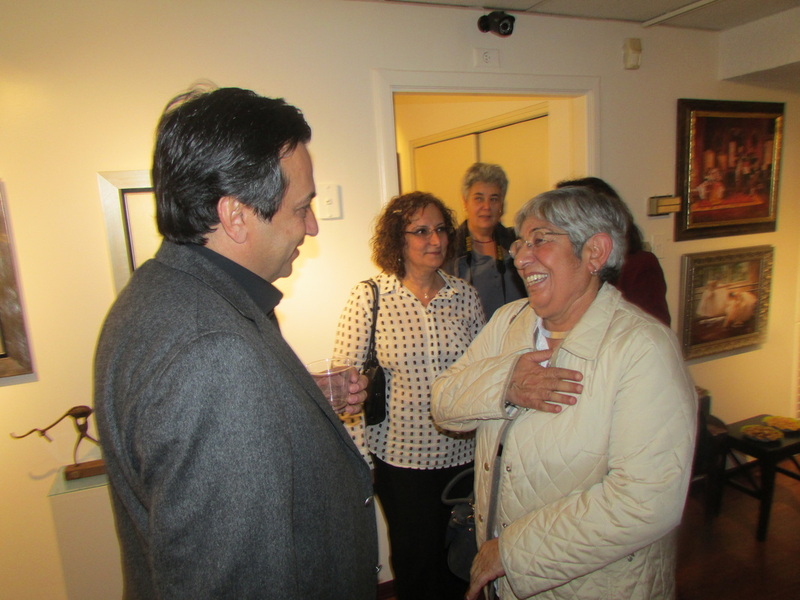 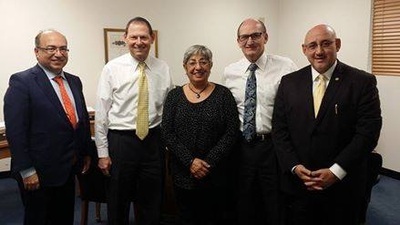 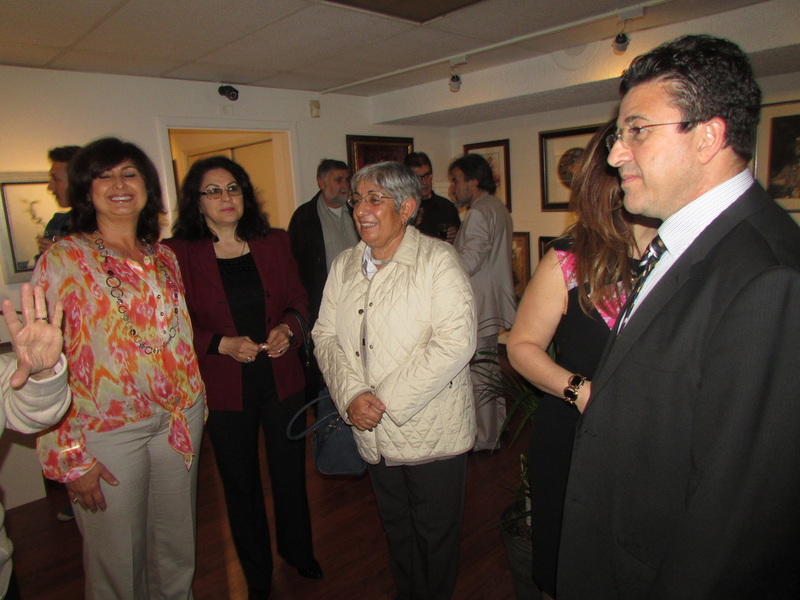 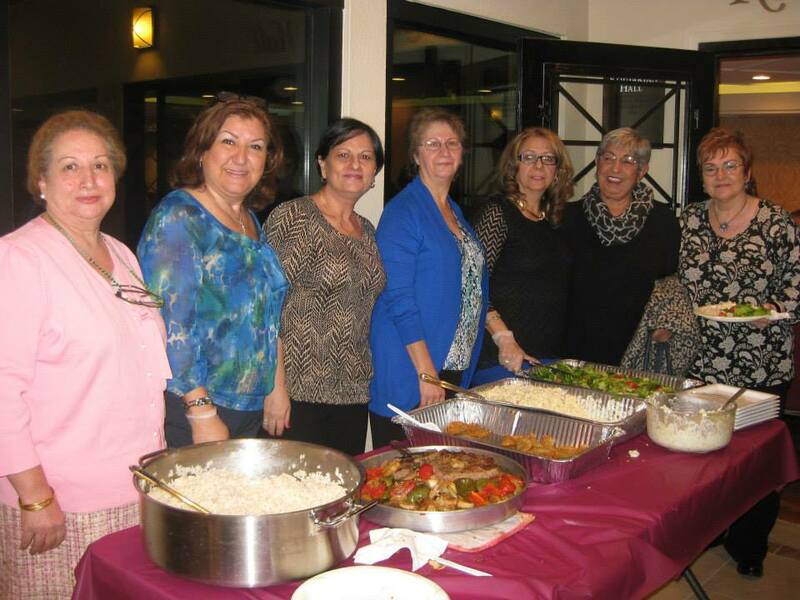 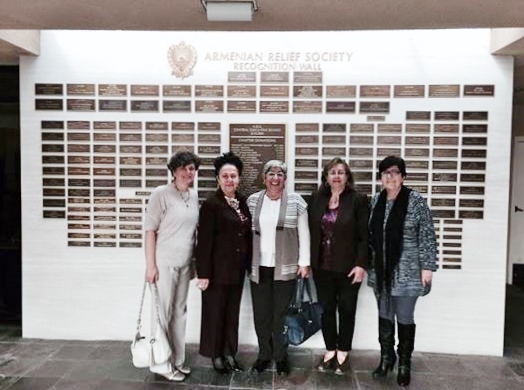 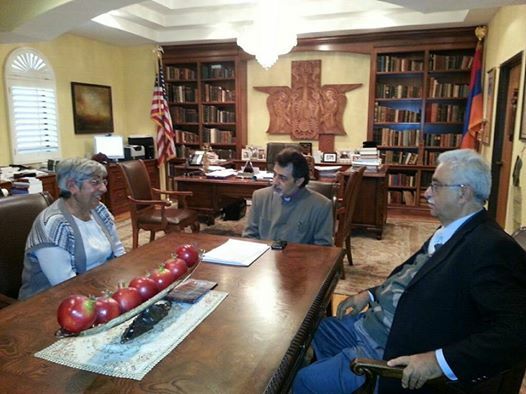 Accompanied by UACLA members Arus Kazarian & Carmen Libaridian, Fethiye Cetin visited Armenian Relief Society of Western U.S.A. regional offices in Glendale. 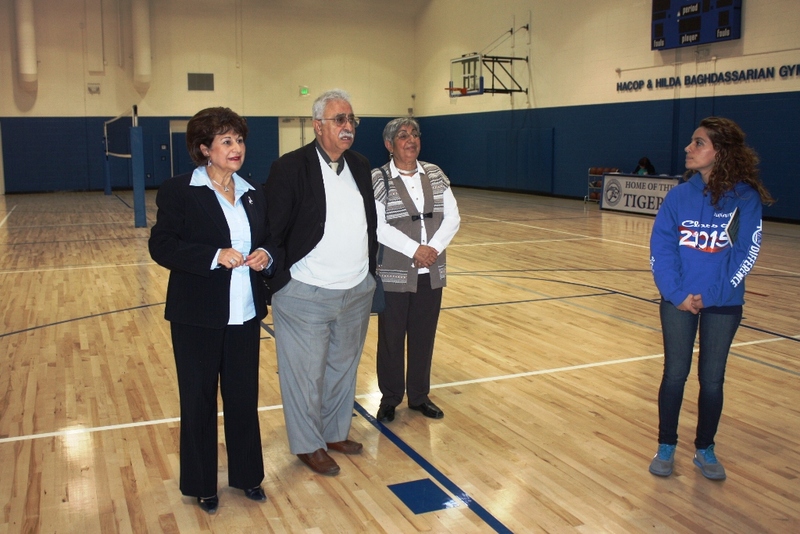 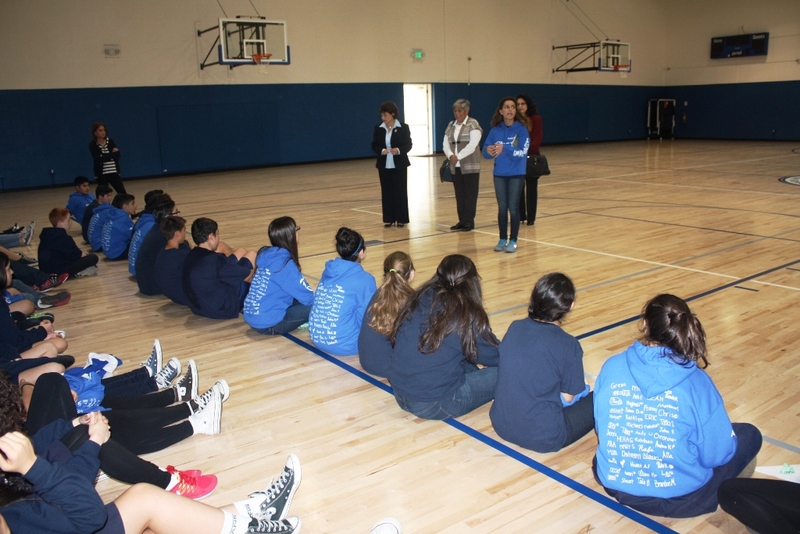 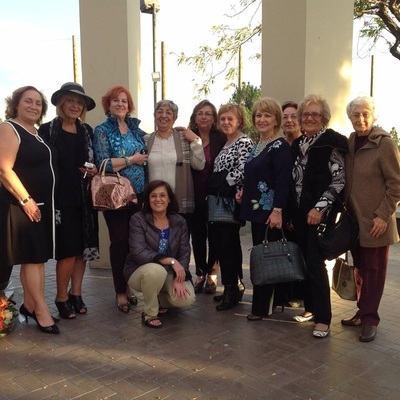 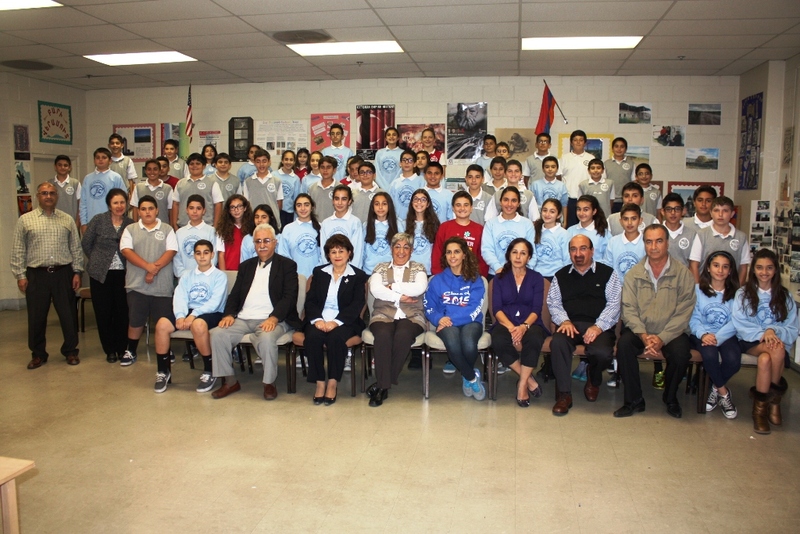 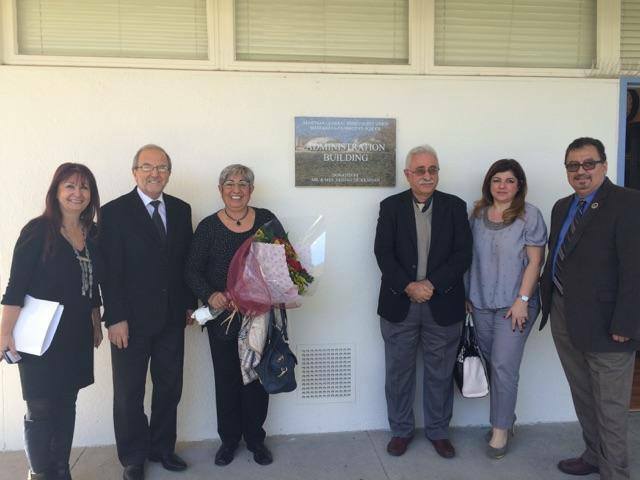 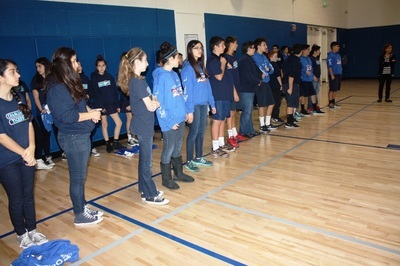 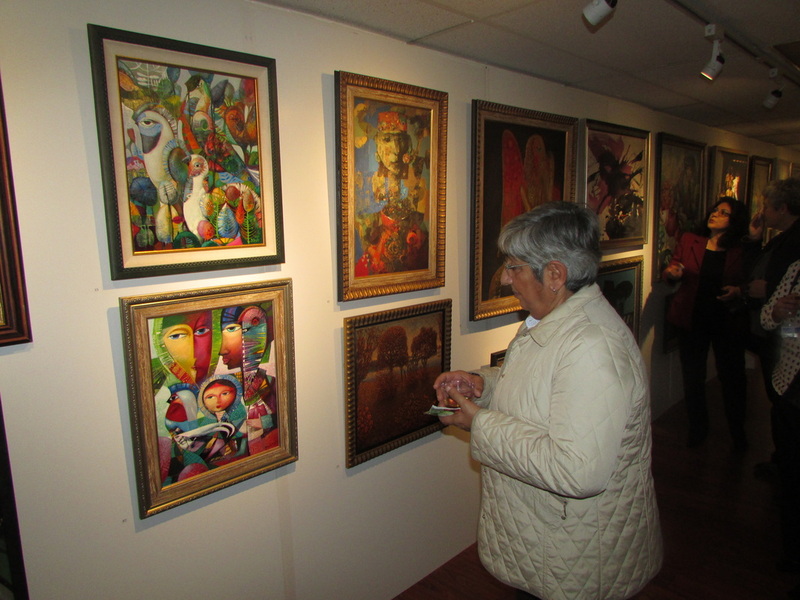 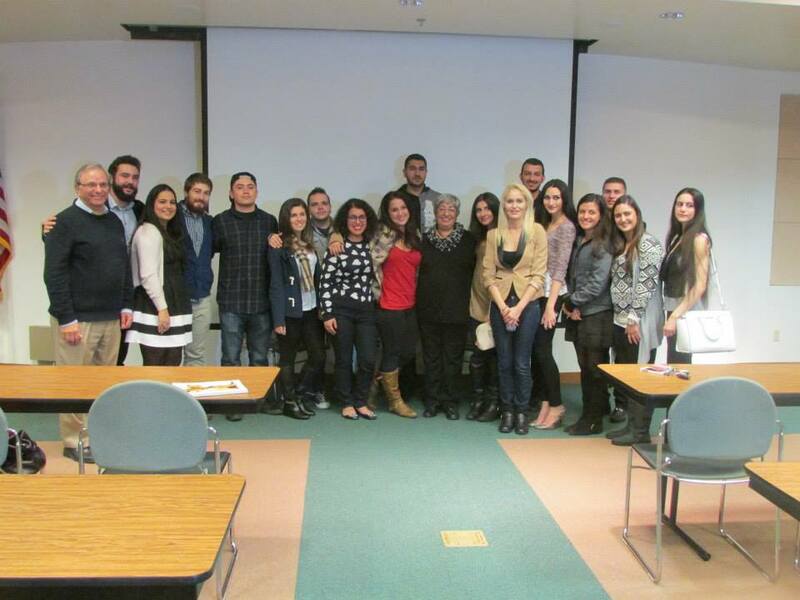 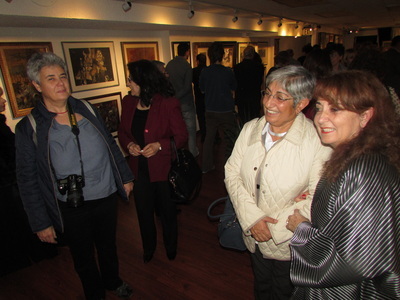 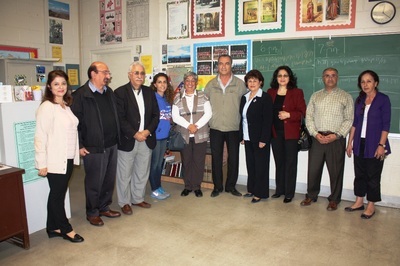 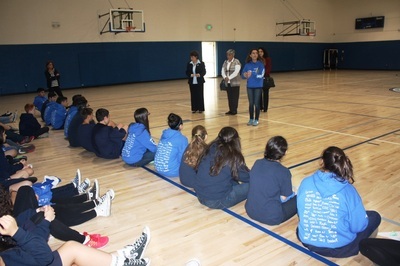 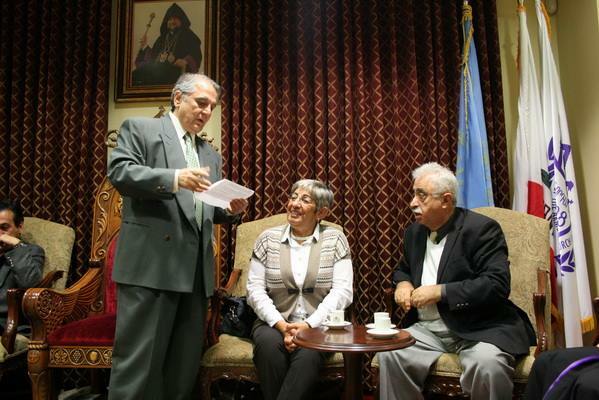 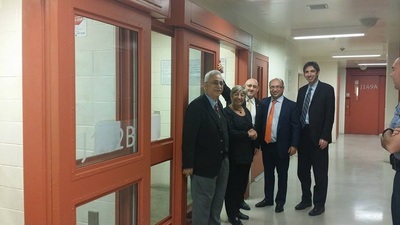 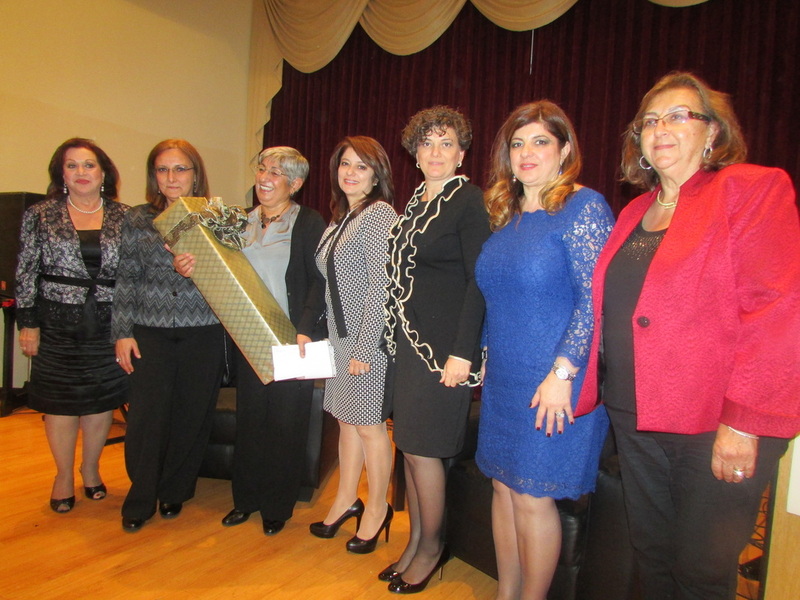 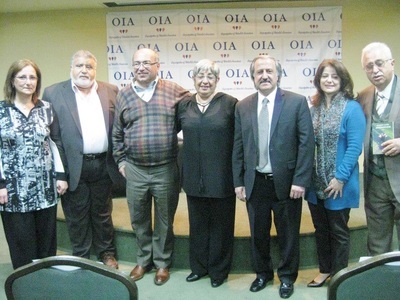 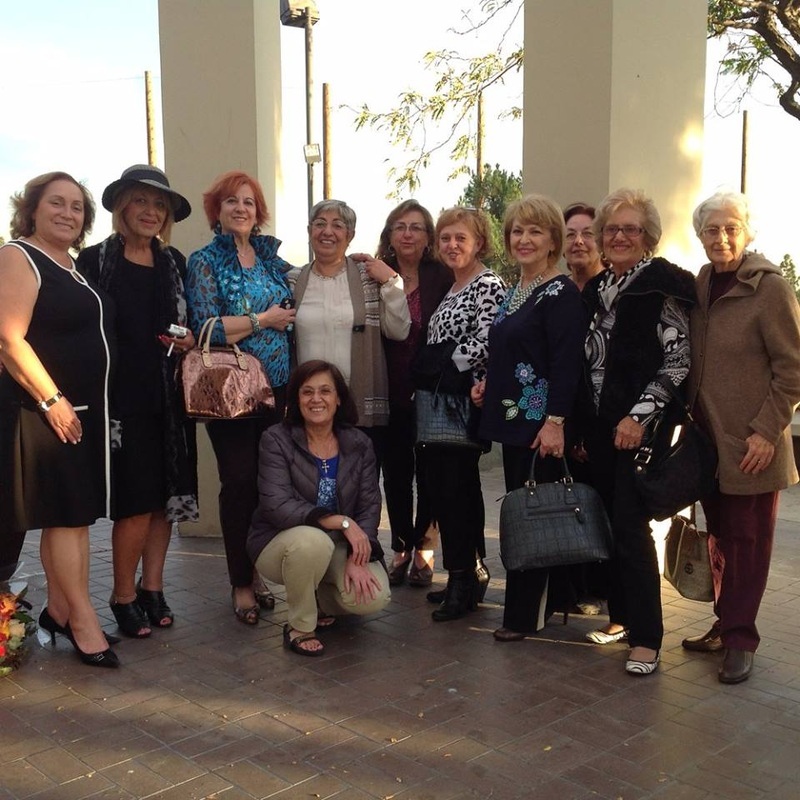 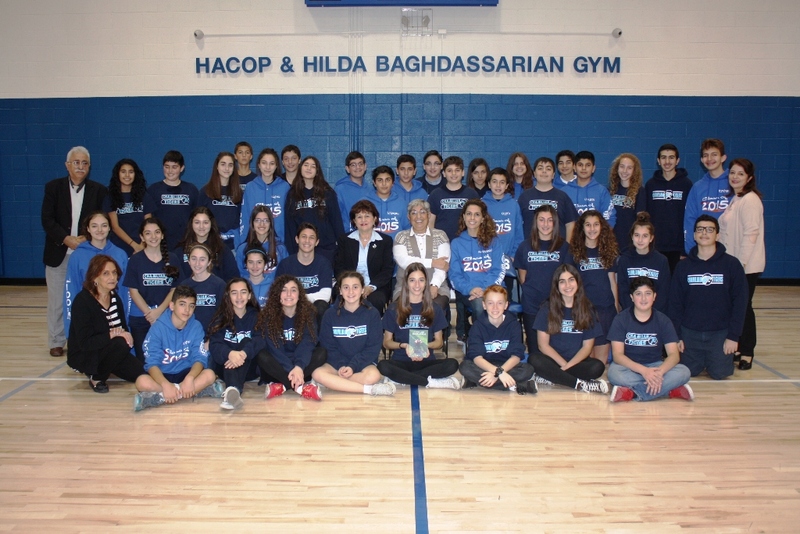 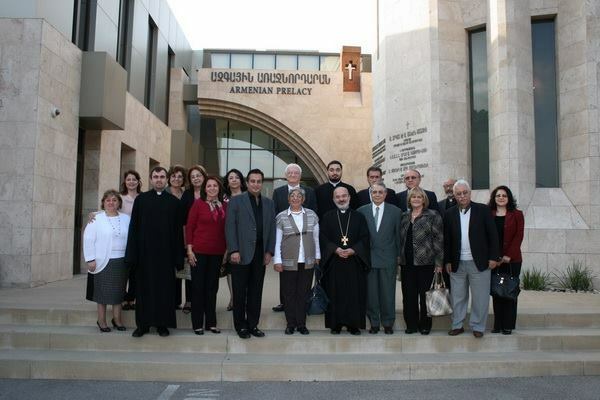 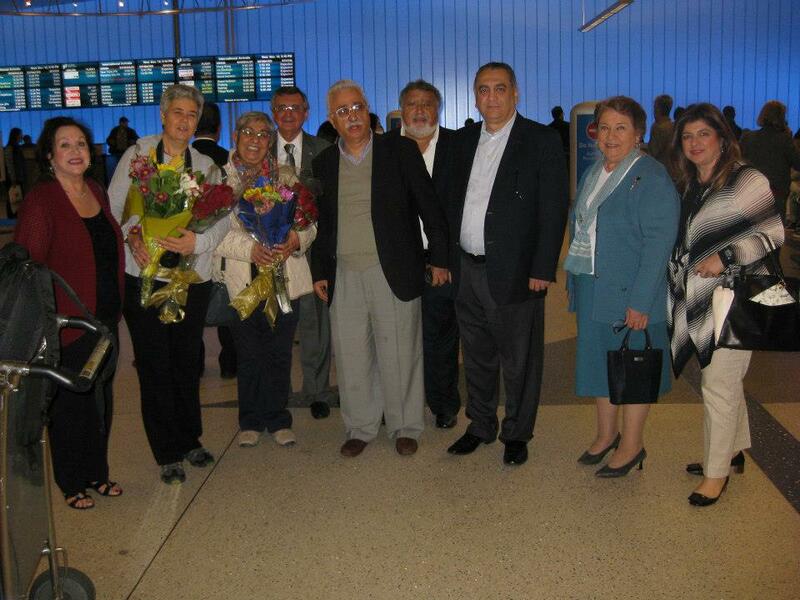 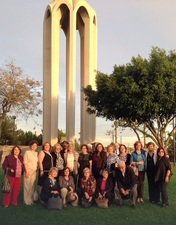 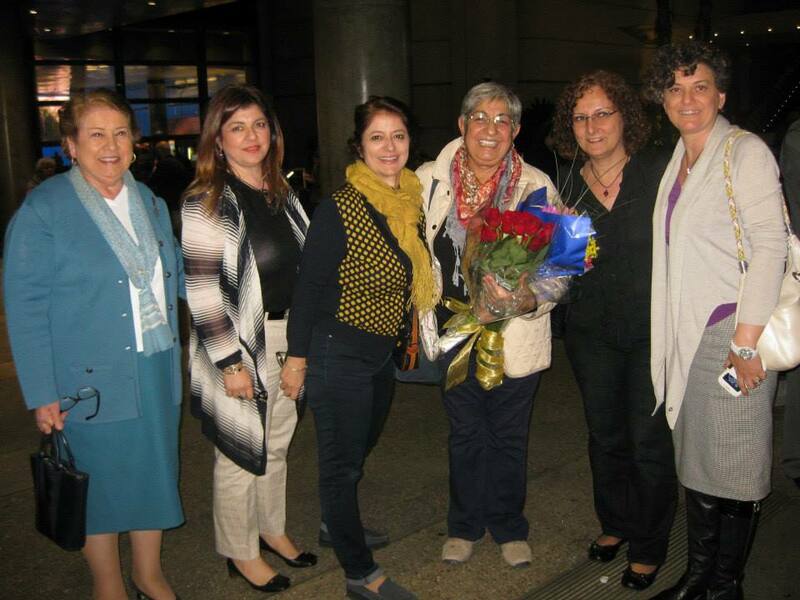 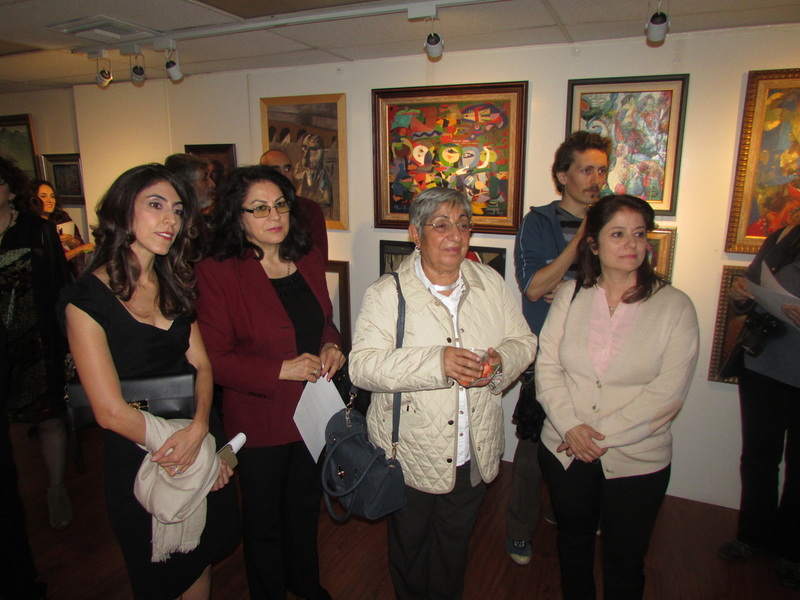 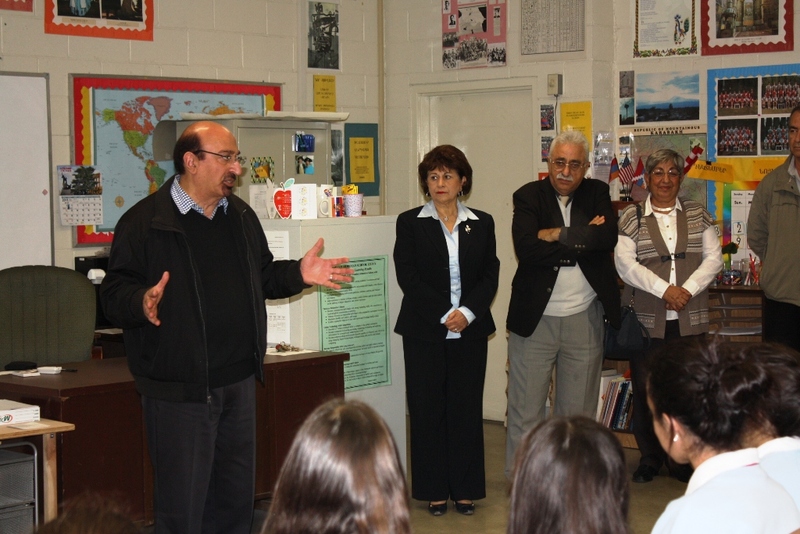 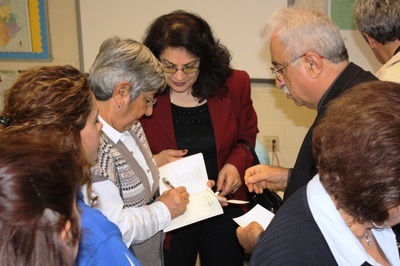 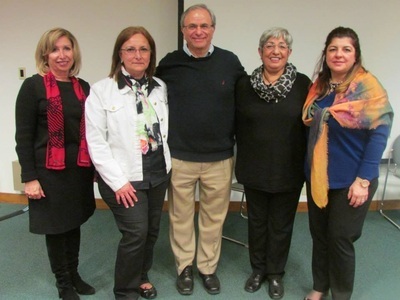 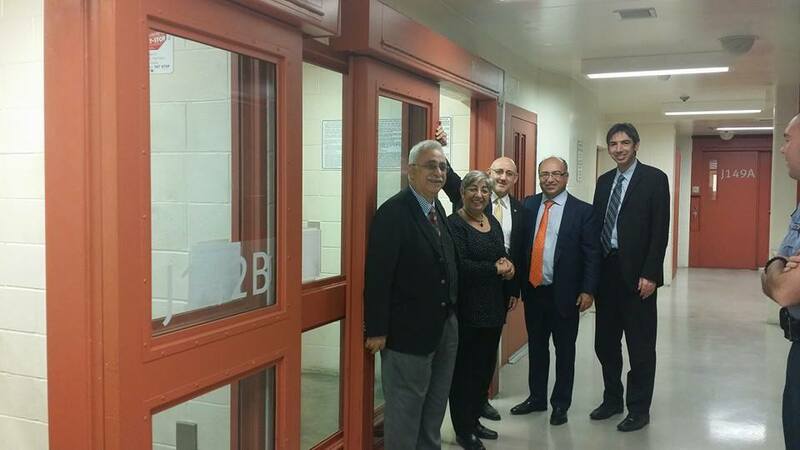 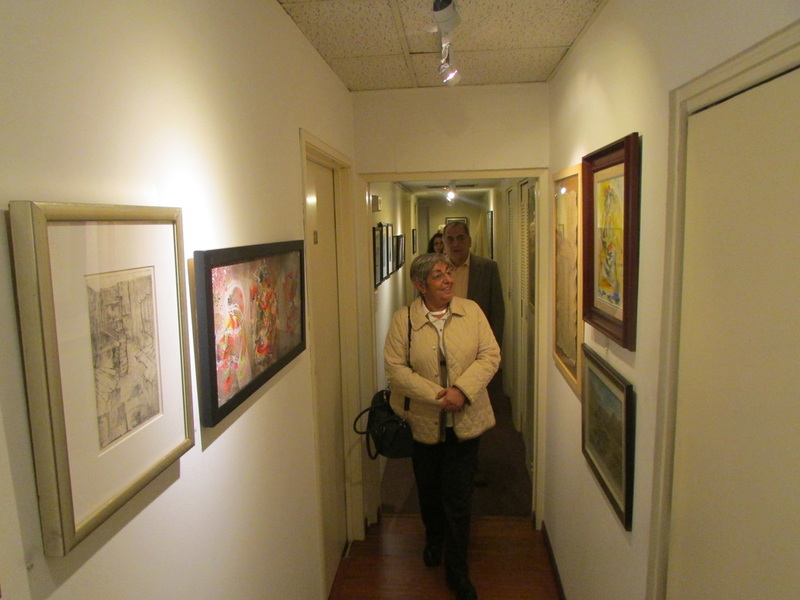 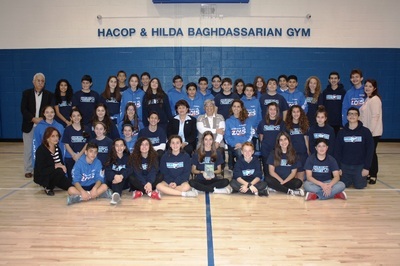 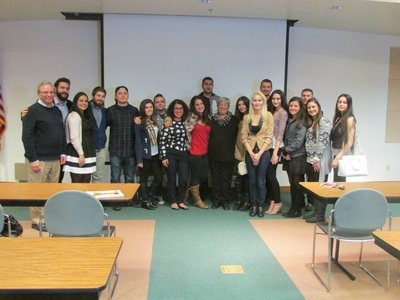 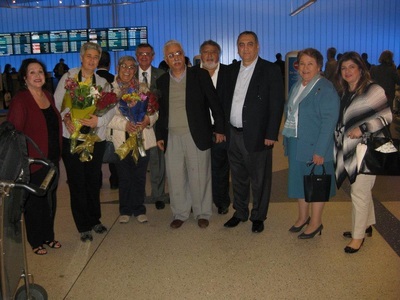 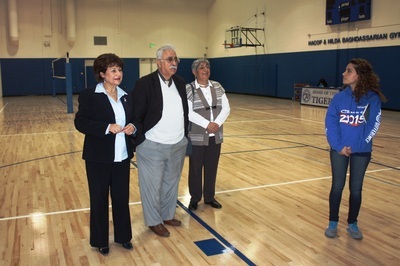 Accompanied by UACLA members, Fethiye Cetin visited AGBU Manoogian Demirjian School. Accompanied by UACLA members Dr. Ohannes Kulak Avedikyan & JacquelineTomasian, Fethiye Cetin Visits Vahan & Anoush Chamlian Armenian School. Accompanied by UACLA members Dr. Ohannes Kulak Avedikyan & Jacqueline Tomasian, Fethiye Cetin visited Western Prelacy of the Armenian Apostolic Church of America.